Octopus, cuttlefish, and squid are well known in the invertebrate world. With their ink-squirting decoy technique, ability to change color, bizarre body plan, and remarkable intelligence, they highlight that lacking a back-bone doesn't always mean lacking sophistication. Examining their deep evolutionary past, researchers have been spoiled by their generous fossil record, as demonstrated by drawer after drawer of ammonites and belemnites in every natural history museum shop. But, the mostly shell-less modern cephalopods have been less easy to understand. Now, a new study, led by researchers from the University of Bristol (UK), has found out how these remarkable creatures evolved by comparing their fossil records with the evolutionary history chronicled in their gene sequences to shed light on their origins. Published online on February 28,2017 in Proceedings of the Royal Society B, the study shows that the cephalopods diversified into the familiar modern octopuses, cuttlefish, and squid during a time of great change in the marine world, known as the Mesozoic Marine Revolution, 160 to 100 million years in the past. Lead author, Al Tanner, a Ph.D. student at the University of Bristol's School of Biological Sciences, is a molecular biologist and bioinformatician at the Bristol Palaeobiology Research Group--a world leading evolutionary research group. He said: "On land this was the time of the dinosaurs, but beneath the seas, ecologies were changing rapidly. Fish, squid, and their predators were locked in evolutionary 'arms-races,' leading to increasingly speedy and agile predators and prey. 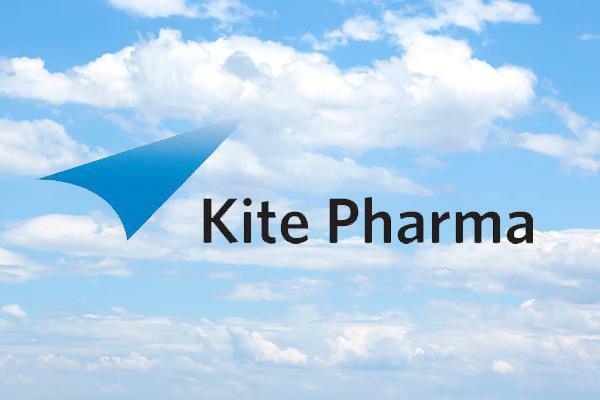 On February 28, 2017, Kite Pharma, Inc., (Nasdaq:KITE) announced positive data from the primary analysis of ZUMA-1 for its lead CAR-T candidate, axicabtagene ciloleucel (previously referred to as KTE-C19), in patients with chemorefractory aggressive B-cell non-Hodgkin lymphoma (NHL). The study of 101 patients met the primary endpoint of objective response rate (ORR), or rates of tumor response (complete response + partial response) recorded after a single infusion of axicabtagene ciloleucel, with 82 percent (p < 0.0001). 41% of patients were in response and 36% were in complete response (CR) at month 6 of the study. According to Kite, these results demonstrate the treatment effect of axicabtagene ciloleucel in a patient population with multiple types of aggressive NHL, including diffuse large B-cell lymphoma (DLBCL) enrolled in Cohort 1, as well as primary mediastinal B-cell lymphoma (PMBCL) and transformed follicular lymphoma (TFL) enrolled in Cohort 2. "These results with axicabtagene ciloleucel are exceptional and suggest that more than a third of patients with refractory aggressive NHL could potentially be cured after a single infusion of axicabtagene ciloleucel," said Jeff Wiezorek, M.D., Senior Vice President of Clinical Development. "The ZUMA-1 study was built on a foundation of support and commitment from Dr. Steven Rosenberg and the National Cancer Institute and our ZUMA-1 clinical trial investigators who believed in the potential for CAR-T therapy to change the paradigm of cancer treatment." “This seems extraordinary ... extremely encouraging,” said one independent expert, Dr. Roy Herbst, cancer medicines chief at the Yale Cancer Center, as quoted in a Washington Post article (see link below) on the Kite announcement. Caris Life Sciences®, a leading innovator in molecular science focused on fulfilling the promise of precision medicine, announced, on February 21, 2017, the results of a study that demonstrates the ability of the company’s ADAPT Biotargeting System™ to detect and classify women with or without breast cancer based on a minimally-invasive liquid biopsy of circulating exosomes from blood plasma. The study was published in Nature’s Scientific Reports (http://www.nature.com/articles/srep42741) on February 20. The open-access article is titled “Plasma Exosome Profiling of Cancer Patients by a Next Generation Systems Biology Approach.” “The ability to accurately detect breast cancer with a minimally-invasive blood-based method that covers a systems-wide range of biomarkers would offer a significant advance in breast cancer diagnosis and patient management,” said Dr. Lee Schwartzberg (not involved in the research), Chief, Division of Hematology/Oncology at the University of Tennessee Health Science Center. “Results of this study provide a potential future opportunity to address shortcomings in the current standard of diagnostic testing utilizing mammography and other imaging techniques, which frequently generate indeterminate results that can result in patients facing invasive tissue biopsies.” The ADAPT Biotargeting System uses a highly complex library of single-stranded molecules called oligodeoxynucleotide (ssODNs) aptamers that bind to individual and multi-component targets, enabling them to profile biological samples at a systems-wide scale. In the study published in Scientific Reports, a parent library of approximately 1011 ssODNs was “trained,” or enriched, for aptamers that preferentially associate either with plasma exosomes from women with breast cancer or with plasma exosomes from women without breast cancer. Today (February 28) is RareDiseaseDay 2017! Today, with events taking place in over 90 countries all around the world, it is hoped that more awareness than ever will be raised for rare diseases! With the theme of “research,” and the slogan, “With research, the possibilities are limitless,” RareDiseaseDay 2017 is an opportunity to call on all researchers, universities, students, companies, policymakers, and clinicians to do more research and to make them aware of the importance of research for the rare disease community. Rare diseases affect an estimated 25 million Americans. On Feb. 27, 2017, the National Institutes of Health hosted “Rare Disease Day at NIH” to raise awareness about rare diseases, the people they affect, and research collaborations that are making a difference. The event featured presentations, posters, exhibits, an art show, and tours of the NIH Clinical Center — a hospital at which researchers are studying more than 500 rare diseases in partnership with nearly 15,300 unique patients. Scheduled speakers at the NIH Rare Disease Day event included Rep. Leonard Lance, (R-NJ), Co-Chair of the Congressional Rare Disease Caucus; Francis S. Collins, M.D., Ph.D., Director, NIH; Christopher P. Austin, M.D., Director, NCATS, NIH; Anthony S. Fauci, M.D., Director, National Institute of Allergy and Infectious Diseases, NIH; James K. Gilman, M.D., Chief Executive Officer, NIH Clinical Center; and John I. Gallin, M.D., Associate Director for Clinical Research and Chief Scientific Officer, NIH Clinical Center. This year's Rare Disease Day video (http://www.rarediseaseday.org/videos), which has been viewed over a hundred thousand times and translated into over 30 languages, draws a parallel with a routine that many of us go through multiple times a day - searching for an answer on the internet. 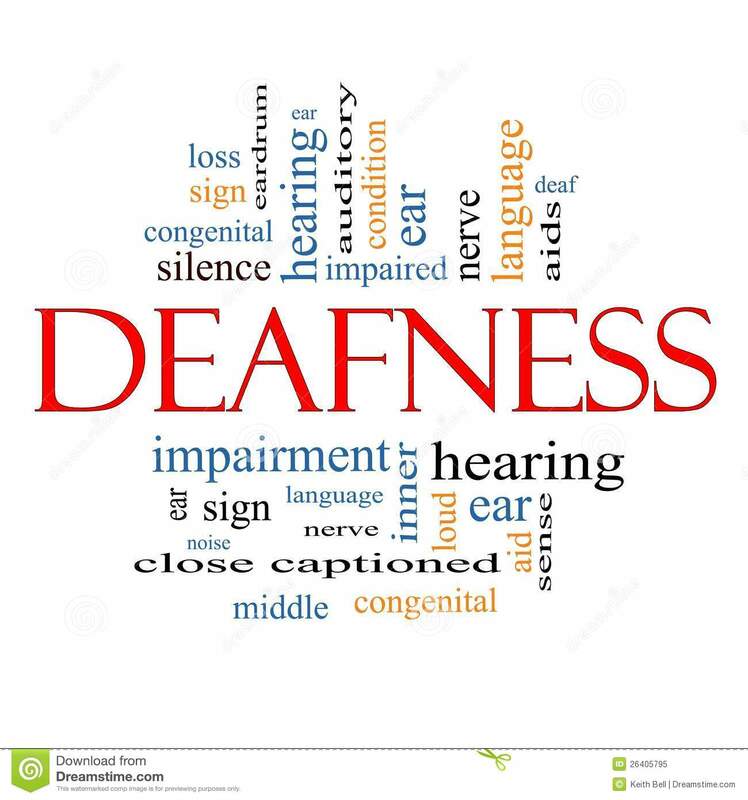 A group of researchers from Pakistan, Europe, and Singapore has identified and characterized a previously undiscovered rare deafness-dystonia syndrome in a family living in a remote region of Pakistan. The research, published in issue 10 (2017) of Disease Models & Mechanisms, describes how five of the eight children in one family developed a range of symptoms as they grew: hearing impairment at six months of age developed into profound deafness by ten years old, accompanied by delayed motor development and subsequent regression. This condition has been named 'Siddiqi syndrome' for Dr. Saima Siddiqi from the Institute of Biomedical and Genetic Engineering in Islamabad, Pakistan, who initially made contact with the family. A research team, led by Dr. Siddiqi and Dr. Hannie Kremer from the Radboud University Medical Center in Nijmegan, The Netherlands, used whole-exome sequencing to identify a single homozygous nonsense mutation in the gene for FITM2, a protein involved in lipid droplet formation and energy metabolism. To confirm the discovery, the team reduced the activity of the homologous gene in fruit flies and found that these flies displayed hearing and locomotor impairments, as seen in the affected family. The researchers were further able to clarify that reduced activity of the gene causes abnormal branching of sensory neurons in flies as they develop. Directing resources to rare disease research might not always be the obvious choice when the results will apparently benefit only a small group of people. However, Dr. Siddiqi explains that rare diseases in remote and underdeveloped regions like Pakistan are not necessarily as rare as might be thought because a lack of facilities and funding prevents proper disease management and diagnosis. Sometimes cells resist medication by spitting it back out. Cancer cells, in particular, have a reputation for defiantly expelling the chemotherapy drugs meant to kill them. Researchers at The Rockefeller University have shed new light on a molecular pump that makes this possible, by determining its three-dimensional structure, down to the level of atoms. “This molecular machine ejects numerous anticancer agents, as well as other drugs. However, no one understood how it can recognize and remove such an impressive variety of substances,” says lead researcher Dr. Jue Chen, the William E. Ford Professor and head of the Laboratory of Membrane Biology and Biophysics at The Rockefeller. “By examining how this drug resistant pump binds to its cargo before transporting it, we have found an answer,” she adds. The new structures, described online on February 23, 2017 in Cell, could help to guide the development of more effective treatments for cancer and other disorders. The Cell article is titled “Structural Basis of Substrate Recognition by the Multidrug Resistance Protein MRP1.” Known as MRP1, the pump in question was identified in drug-resistant lung cancer cells in 1992. 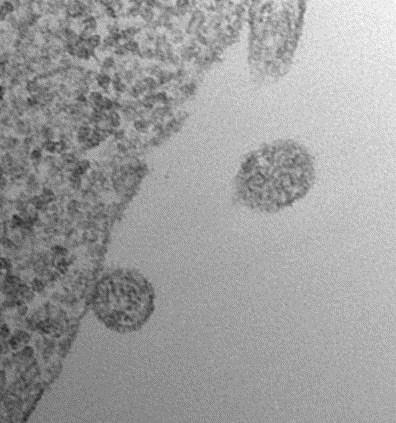 While some cancer cells express an unusual abundance of this protein, it is also common within normal cells. It’s a part of the barrier that protects the brain from infection, and helps export hormones, immune signaling compounds, and other cargo, including unwanted foreign substances. Unfortunately for modern medicine, MRP1 often mistakes useful chemicals, including opiates, antidepressants, and antibiotics, for potentially harmful ones in need of removal. Proteins charged with transportation across a cell’s membrane tend to be picky, accepting only particular types of cargo, in some cases a single molecule. As much as we try to avoid it, ¬we are constantly sharing germs with those around us. But even when two people have the same infection, the resulting illnesses can be dramatically different—mild for one person, severe or even life-threatening for the other. Now, new research from The Rockefeller University offers insights into how these differences can arise. Dr. Jean-Laurent Casanova, head of Rockefeller’s St. Giles Laboratory of Human Genetics of Infectious Diseases and Howard Hughes Medical Institute Investigator, led a team of researchers to uncover how two different conditions—a genetic immunodeficiency and delayed acquired immunity—can combine to support a life-threatening infection. In the research, published online on February 23, 2017 in Cell. The Cell article is titled “Human Adaptive Immunity Rescues an Inborn Error of Innate Immunity.” Dr. Casanova and his team focused on the case of an otherwise healthy young girl who developed a life-threatening infection from a very common strain of bacterium. Most of us carry this microbe, known as Staphylococcus aureus, on our skin and in our nostrils. It can cause minor infections (often referred to as “staph infections”), but in some people, it results in severe disease. The Cell article is titled “Human Adaptive Immunity Rescues an Inborn Error of Innate Immunity.” The young girl’s illness was mysterious: she had no known risk factors that would lead her to develop the acute form of the disease, and none of her family members had contracted it. So, Dr. Casanova and his team set out to define the underlying cause of her disease by searching her DNA for mutations that might make her more susceptible to staph disease. Expert ecologists at the UK-based Centre for Ecology & Hydrology (CEH) have devised a scientific model which could help predict the spread of the deadly Xylella fastidiosa which is threatening to destroy Europe's olive trees. The CEH scientists have created a model which is able to qualitatively and quantitatively predict how the deadly bacterial pathogen may spread, as well as offer guidance on how buffer zones should be arranged to protect uninfected olive trees. The research, published online on February 23, 2017 in the journal Biological Invasions, highlights how Xylella fastidiosa is influenced by a range of insects - including spittlebugs - and the rate at which these vectors contribute to the potential spread of the disease across Europe and beyond. Xylella fastidiosa was once restricted to the Americas, but was discovered near Lecce, Italy, in 2013. 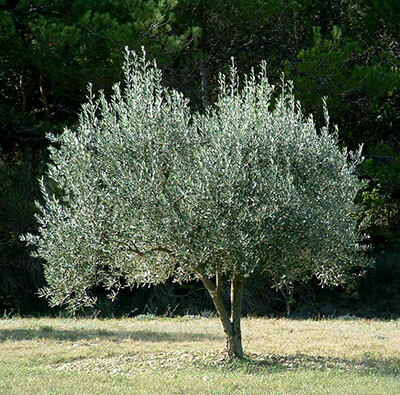 Since the initial outbreak, it has invaded over 23,000 hectares of olives in the Apulian Region of southern Italy, and is of great concern throughout the olive production areas of the Mediterranean basin. The new open-access article is titled “Modelling the Spread and Control of Xylella fastidiosa in the Early Stages of Invasion in Apulia, Italy.” The study modelled control zones currently employed in Apulia, Italy, and found that increasing buffer widths decreased infection risk beyond the control zone, but may not stop the spread completely. This was due to the ability of the disease-spreading insects to transport themselves between sites. Lead author Dr. Steven White, a Theoretical Ecologist at the Centre for Ecology & Hydrology, said the model indicates the importance of control strategies reducing the risk of the disease-spreading insects infecting healthy trees through the use of wider buffer zones. In movies and TV shows, dolphins are often portrayed as heroes who save humans through remarkable feats of strength and tenacity. Now, according to a February 23, 2017 press release from the National Institute of Standards and Technology (NIST), dolphins could save the day for humans in real life, too - with the help of emerging technology that can measure thousands of proteins and an improved database full of genetic data. "Dolphins and humans are very, very similar creatures," said the NIST's Dr. Ben Neely, a member of the Marine Biochemical Sciences Group and the lead on a new project at the Hollings Marine Laboratory, a research facility in Charleston, South Carolina that includes the NIST as one of its partner institutions. "As mammals, we share a number of proteins and our bodies function in many similar ways, even though we are terrestrial and dolphins live in the water all their lives." Dr. Neely and his colleagues have just finished creating a detailed, searchable index of all the proteins found in the bottlenose dolphin genome. Dr. Neely's project is built on years of marine mammal research and aims to provide a new level of bioanalytical measurements. The results of this work will aid wildlife biologists, veterinary professionals, and biomedical researchers. Although a detailed map of the bottlenose dolphin (Tursiops truncatus) genome was first compiled in 2008, recent technological breakthroughs have enabled the creation of a new, more exhaustive map of all of the proteins produced by the dolphins' DNA. Dr. Neely led the process to generate the new genome with the help of colleagues at the Hollings Marine Laboratory. For this project, the initial genomic sequencing and assembly were completed by Dovetail Genomics, a private U.S.-based company. Japanese researchers have confirmed the second case known to science of a chimpanzee born with trisomy 22, a chromosomal defect similar to that of Down syndrome (or trisomy 21) in humans. The report on Kanako (photo), a 24-year-old female chimp born into captivity, was led by Dr. Satoshi Hirata of Kyoto University in Japan, and appeared online on February 21, 2017 in the journal Primates, published by Springer. The article is titled “Chimpanzee Down Syndrome: A Case Study of Trisomy 22 in a Captive Chimpanzee.” The authors also describe their attempts to improve the quality of life of this chimpanzee, through providing and managing opportunities for normal social interaction. Such efforts are seen as key in caring for disabled chimpanzees in captivity. Human cells normally contain 23 pairs of chromosomes, for a total of 46. Down syndrome occurs when a person’s cells contain a third copy of chromosome 21 (also known as trisomy 21). In turn, apes have 24 pairs of chromosomes, for a total of 48. Trisomy 22 is diagnosed when the cells of apes such as chimpanzees, gorillas, or orangutans contain a third copy of chromosome 22. The first confirmed case of a chimpanzee with trisomy 22 was documented in 1969. The chimpanzee described nearly five decades ago died before its second birthday. This means that Kanako is the longest-living chimp with this chromosomal disorder that scientists are aware of. Kanako was born in captivity in 1992, at a facility which was transferred to Kyoto University in 2011 and renamed as Kumamoto Sanctuary, Wildlife Research Centre. She experienced stunted growth from an early age, suffers from a congenital heart disease and has underdeveloped teeth. Kanako developed cataracts before the age of one, and became blind by the age of seven.